Today we are happy to announce the first official release of Spring Boot Admin. 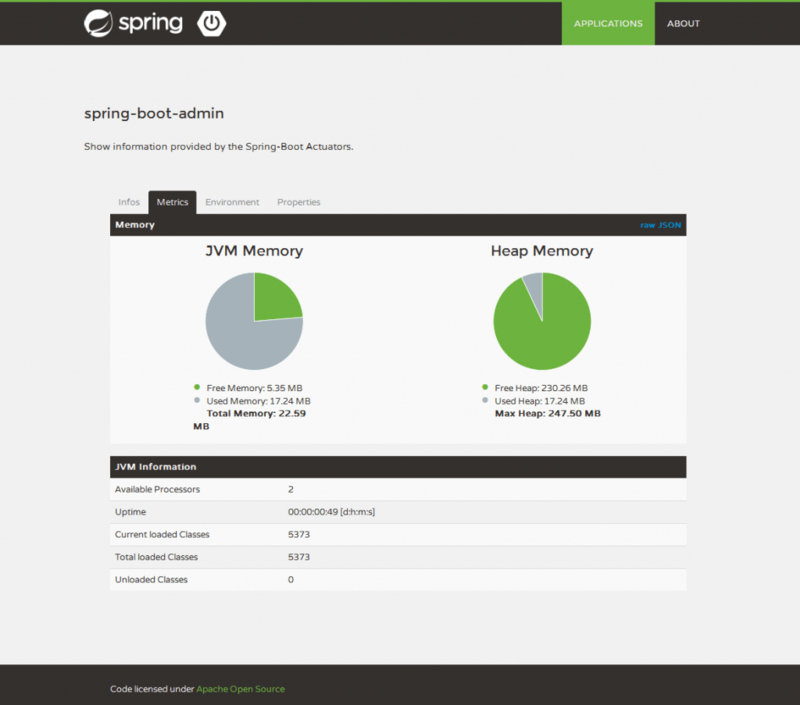 My colleague Thomas has created this Admin Application for Spring Boot a few weeks ago. Basically it gives you an overview of all running Spring Boot Micro Services in your environment. It shows the status, the version and the health of the applications in the dashboard and gives you also detailed informations such as JVM metrics, properties, loglevels, etc. All these data comes from the Spring Boot Actuator Endpoints. For futher informations, you can read the initial blog post here. The artifacts are also available on Maven Central so you can use it very easily in your project. and place the Annotation “EnableAdminServer” in your Spring Boot Starter Class. Each application that want to register itself to the admin application has to include the [spring-boot-starter-admin-client](https://github.com/codecentric/spring-boot-admin/tree/master/spring-boot-starter-admin-client) as dependency. Inside your application.properties you also have to define the URL of the Spring Boot Admin Server, e.g. The source code and a running example is available here. This is exactly what I was looking for !! Thanks! However, I have one issue with the metric page. Where can I post Issues? This post is very helpful, Thank you. But I run into a problem, layout of the admin app looks different from the one shown in the above image. I can see the header and footer but no body. Clicking ‘Application’ and ‘About’ does not do anything. I have tried in Firefox 33.1, Crome Version 39.0.2171.65 m and IE 10 and noticed no difference. Its working now. Changed the sample projects pom’s from 1.1.0-snapshot to 1.1.0 fixed it.